We all like to be “in the know.” There are few things quite as aggravating as feeling like you’re the last person to know what’s going on and being “on the outside looking in.” That’s especially true when as a citizen you’re trying to find out what’s happening on a proposed development project that may affect your community, or possibly even your own home or business. Yet, that’s what can happen when our government’s decision-making processes give the appearance, real or imagined, of being either one-sided or impartial, and full due process is not provided for. In a democratic society, open, fair decision making is critical to whether the public trusts what the government is doing. Ex parte is Latin meaning “from or on one side only, with the other side absent or unrepresented.” In a democratic society, open, fair decision making is critical to whether the public trusts what the government is doing. In planning circles, ex parte, or one-sided communications, are usually problematic, either legally, ethically, or both, particularly when it involves a quasi-judicial action such as is often the case with variances or special use permits. For example, imagine a defendant in court, prior to the start of his trial, finding out the opposing attorney had dinner with the presiding judge and discussed your case with him. Oh, and by the way, your close friend, who by happenstance was sitting at the table next to them, overheard the judge say “yep, and I think he’s guilty, too.” How about that for a fair trial? Get the jail cell and orange jumpsuit ready. Most people (particularly the defendant) would be outraged at such a breach of fairness and ethics, not to mention the law. Now think about the applicability of this principle in the world of planning. A variance or special use permit is typically considered a quasi-judicial action, where a planning commission, zoning board, and/or city council often sit as judges ruling on a specific case and the applicability of facts to it. To help ensure proper due process is given to all parties, they need to hear all the facts equally and openly, as do those who may be opponents, proponents, or just interested by-standers of the matter at hand. The best advice is for commissioners to avoid ex-parte communications or information completely. In the event some new information is given to you on a case, it must be disclosed openly during the process as soon as possible. It is also best practice for planning commissions and city councils to have a policy in place that addresses how ex-parte communications are to be handled. Now there is a difference between quasi-judicial and legislative decision-making, which typically has a broader tolerance for how information is obtained. On especially hot topics, planning commissioners or city council members are often bombarded with phone calls, letters, people catching them at the grocery store or hitting them up at their grandkids baseball game, each giving good reasons why a project should be approved or rejected. However, even though there may be more allowance given to how information is gathered in legislative actions as opposed to quasi-judicial ones, there still exists this whole idea of fairness that is essential to not only making good decisions but also giving the appearance of it. An action doesn’t have to be illegal to be ill-advised. As a planning commission member, what should you do? How would you respond to your colleague? What ethical problems exist in this case, if any? Editor's Note: Here's Ted Shekell's follow-up to the hypothetical he set out above. One of the most important roles of the planning commissioner is to be an objective, fair-minded representative of the community. As those in the arena of city planning know all too well, land use issues frequently bring out passionate opinions from all sides, with the voice of reason and balance often coming from the planning commission. It is of the utmost importance to resist the temptation to “make up” one’s mind before hearing all the facts. Having said that, if commissioners become partisan or politically motivated in their decision-making, or if the appearance of fairness and open-mindedness is breached, then the confidence the public has in the commission’s decision-making process will deteriorate rapidly. So, it is of the utmost importance to resist the temptation to “make up” one’s mind before hearing all the facts -- for the sake of the individuals with a stake in the issue, and ultimately, for the integrity of the democratic process itself. To further expand on the topic, let’s consider a few other variations on this theme. First, what if the planning commissioner in the original scenario received the information from the neighborhood group through their newsletter which he received because he lives in that neighborhood -- do indirect communications, such as through a newsletter, make a difference in how a commissioner handles the matter? Information on a case can be either frivolous or important, regardless of the source. Often, the only way to know the difference is to make it available for public consumption. In this instance the commissioner should make known to the planning commission the information from the newsletter. It may be relevant, it may be irrelevant, but the surest way to know is to make it public. Here’s another question: if the planning commission in the above hypothetical example is making an advisory decision or recommendation to the city council, rather than a final decision, is ex-parte still a consideration? Are advisory decisions/recommendations still considered quasi-judicial in nature? The short answer to both would be “yes.” Ex-parte communications, whether at a hearing, during advisory recommendations, or in making final decisions, are inappropriate. Quasi-judicial matters, such as variances or special use permits, should be handled as such throughout the process. Even though a planning commission hearing and decision is advisory only, it is still an integral, and critical, part of the process. Knowledge that is “hidden from view,” can prevent a thorough hearing on a matter. Proper due process, open two-sided communications, informed cross-examination -- these are all important parts of the decision-making process. 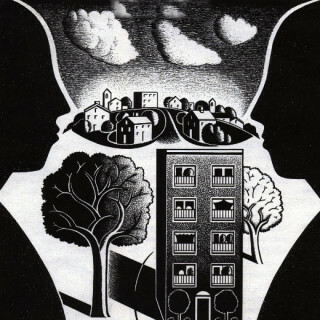 Knowledge that is “hidden from view,” can prevent a thorough hearing on a matter, and it can also thwart a proper decision by the city council, if they are indeed the final authority. If an issue is ultimately a legislative decision, such as is often the case in a city council’s decision on a rezoning or comp plan amendment, the rules governing ex-parte communications are often different and can be less restrictive. 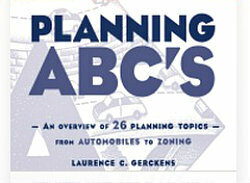 Having said that, one of the adopted aspirational goals of the American Planning Association in its “Ethical Principles in Planning” is for planning process participants to “Strive to give citizens (including those who lack formal organization or influence) full, clear and accurate information.” Open and equitable dissemination of information is a good goal to strive for. A third and final scenario would be this: should a planning commissioner who is a member of a neighborhood group, environmental group, chamber of commerce, or other organization, excuse himself from considering a project in which that organization testifies or takes a position? Is disclosure of the commissioner’s membership in the group necessary? Would it make a difference if the planning commissioner is just a regular member versus being on the board of the organization? Anytime a commissioner feels like he or she has a conflict of interest, taking appropriate action (such as disclosure or recusal) is a must. Even if something may not rise to the legal definition of a conflict of interest, a clean conscience is a beautiful thing. Be safe and address it. In the instance above, disclosure of the commissioner’s membership in the group providing testimony should certainly be made. If a commissioner believes in his own mind that his membership could compromise his objectivity, or if the perception on the part of the public is that the commissioner’s decision-making could be negatively affected, then the most prudent course of action is for the commissioner to avoid the conflict and recuse himself from the matter. 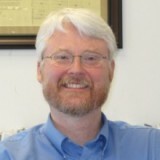 Ted Shekell is the long-time Community Development Director for the City of O'Fallon, Illinois. Ted regularly participates in training sessions on a range of topics, including ethical concerns. Editor's note: I had the pleasure of spending some time with Ted in 2007 during my cross-country trip on U.S. Route 50. I reported on O'Fallon in the following posts: A Small Town State of Mind; The Creekside Development; and Introductions.